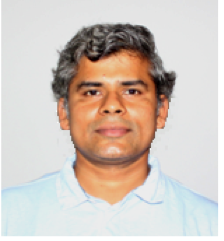 Dr. Sateesh Gedupudi received his PhD from Indian Institute of Technology Madras in 2007. He was a Research Assistant at Brunel University, U.K., from 2006 to 2007 and subsequently Postdoctoral Research Fellow at the same university from 2007 to 2010. 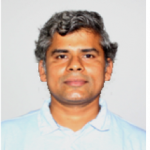 His current research interests focus on experimental investigation and modeling of flow boiling heat transfer and instabilities in mini/micro-channels, pool boiling heat transfer, heat exchangers and heat transfer in buildings. S. Gedupudi, D.B.R. Kenning, T.G. Karayiannis, Flow Boiling in Rectangular Microchannles: 1-D Modeling of the Influence of Inlet Resistance on Flow Reversal, Heat Transfer Engineering (to appear). S. Gedupudi, Y.Q. Zu, T.G. Karayiannis, D.B.R. Kenning, Y.Y. Yan, Confined bubble growth during flow boiling in a mini/micro-channel of rectangular cross-section Part I: Experiments and 1-D modelling, International Journal of Thermal Sciences, Vol. 50, Issue 3, pp. 250-266 (2011). Y. Q. Zu, Y.Y. Yan, S. Gedupudi, T.G. Karayiannis, D.B.R. Kenning, Confined bubble growth during flow boiling in a mini/micro-channel of rectangular cross-section Part II: Approximate 3-D numerical simulation, International Journal of Thermal Sciences, , Vol. 50, Issue 3, pp. 267-273 (2011). G. Sateesh, Sarit K. Das and A.R. Balakrishnan, Analysis of Pool Boiling Heat Transfer: Effect of Bubbles Sliding On the Heating Surface, International Journal of Heat and Mass Transfer, Vol. 48, pp. 1543-1553 (2005).